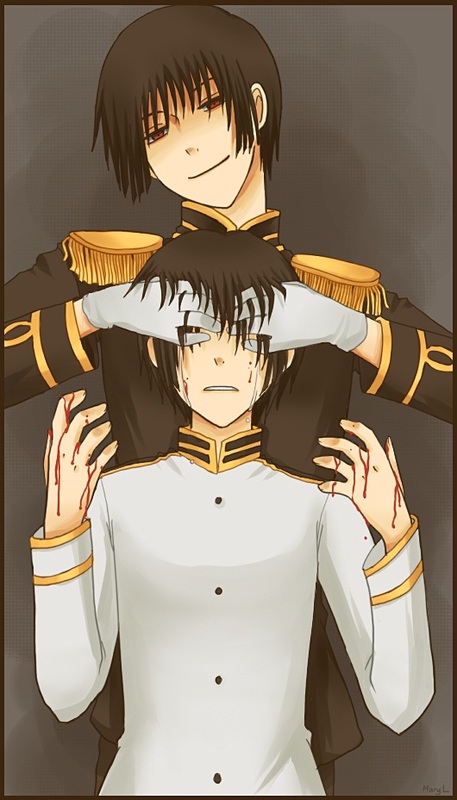 Entry by Gokusuna on Tue Feb 15 01:55:15 2011.
wow...when i look at this i think "his dark side is killing him" figuratively speaking, this is obviously the manifestation of that though. i love how you know somewhere, japan has that dark side, but you don't see it...this is the fault that no one sees. Is it wrong that I freaking love this? @clairvoyance185 I like it exactly because it's psycho. :Р I have a thing for blood and darkness, don't blame me.